I feel like I’ve written this a thousand times at this point, but credit is deserved where credit is due. There is no lens manufacturer in the world who has done a better job than Sigma Lenses at rebranding their image from a lowly third party manufacturer to a staple in the lens market. With their introduction of the Art Series in 2013, Sigma was met with a new design, a lot of skepticism, and ultimately, a lot of newfound fans. And since the release of the spectacular Sigma 35mm f/1.4 Art Series, Sigma has turned into a Babe Ruth of sorts, hitting every subsequent release out of the park, and pointing to the fences before they do so. Though there are two lenses that people have been begging for since the introduction of the rebrand; the Sigma 85mm Art Series (Which we reviewed a couple of months ago, and it’s fantastic), and the Sigma 24-70mm f/2.8 Art Series Lens. And finally, the latter is here; but does it hold up? Before getting into the nitty gritty of this review, it’s important to address that I’m not much for zoom lenses. Speaking with Roger on the regular, I’ve developed an obsession with sharpness, and the reality is that you get more potential sharpness from prime lenses. So over the course of the last few years, I’ve traded in all of my zoom lenses for prime lenses and opted for the ‘Just carry a few lenses with you’ approach as a result. So when I was handed the new Sigma 24-70mm f/2.8 Art Series Lens and asked to review it, my natural excitement was met with apprehension, as zooms generally aren’t my thing. When picking up the Sigma 24-70mm Art Series lens, you’ll be reminded quickly of the build quality that has come with a traditional Sigma Art lens. The lens for one, is beefy; weighing in at 36oz (2.25lbs), the Sigma 24-70mm f/2.8 Art Series is best in class when it comes to weight, superseding the Canon by over 20%. However, the lens also sports a somewhat reasonable 82mm filter size, an issue I’ve had with past lenses in the Art series (The Sigma 85mm f/1.4 Art Series has an obscurely large 86mm filter size, for example). The weight is dense in the lens, as the lens itself is actually a wee bit shorter than its Canon competition in the Canon 24-70mm f/2.8L II, and quite a bit shorter than the massive in comparison Nikon 24-70mm f/2.8E ED. 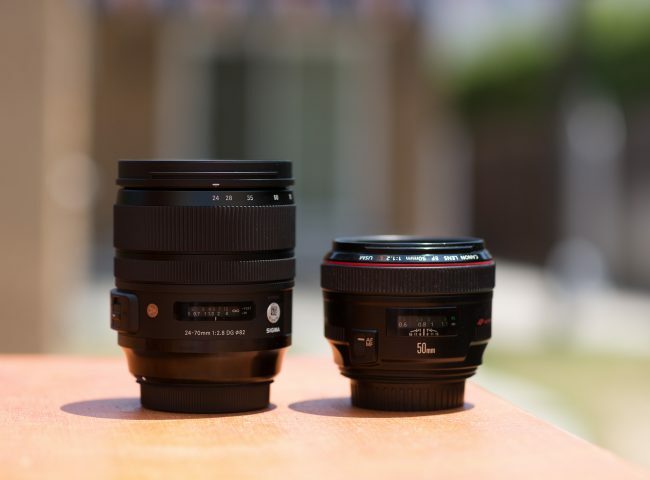 When handling the Sigma 24-70mm f/2.8 Art Series, there are no doubts that it is of professional caliber, and can manage the abuse that professionals tend to lend to their equipment. The first thing you might notice, aside from the sleek Art Series matte black branding, is that this lens also has Image Stabilization built into the lens – a feature left out of its Canon competition (unless opting for the Canon 24-70mm f/4L IS version). With my initial testings, the Sigma 24-70mm f/2.8 Art Series’ optical stabilization works well, offering three stops of stabilization; which by my accounts, seems to be accurate. Additionally, the autofocus is accurate, and reasonably fast, though you won’t find this lens seeking for focus, as you might find with a Nikon or Canon. Seemingly, this lens tries, and if fails, gives up quickly, shutting down the Hyper Sonic Motor entirely until the next focus press and shot. I noticed this first, when half pressing the shutter with the lens cap on, and the lens made no attempts to focus at all, whereas every other lens always put in a half-hearted try, seeking back and forth until failing to focus on the blackness of the lens cap. This felt unnatural to me and seems to be a glaring problem for a lens that prides itself on being fast, and with built-in stabilization. That said, I’m nitpicking, as the lens handled low light very well, and this is more of a weird quirk than a glaring problem. I also wanted to take a moment and address chromatic aberration and the Sigma 24-70mm f/2.8 Art Series – mostly because it’s non-existent. For those unaware, chromatic aberration is when a lens produces a purple or green edge along really contrasty edges and is caused when the glass in your lens isn’t able to bring all of the color wavelengths onto the same focal plane. Some lenses are more prone to chromatic aberration than others, and a million other variables can affect the occurrence of chromatic aberration. Partially because I’m used to shooting with wide apertures, and partially because my personal lenses are all old and in need of servicing, I’m used to fixing chromatic aberration in my images as the first step. Much to my surprise, the Sigma 24-70mm Art Series looks clean out of the camera, with no need for lens correction. I felt the needed to address this, as with how I often shoot, chromatic aberration generally occurs in all my work, and it just doesn’t with the Sigma. 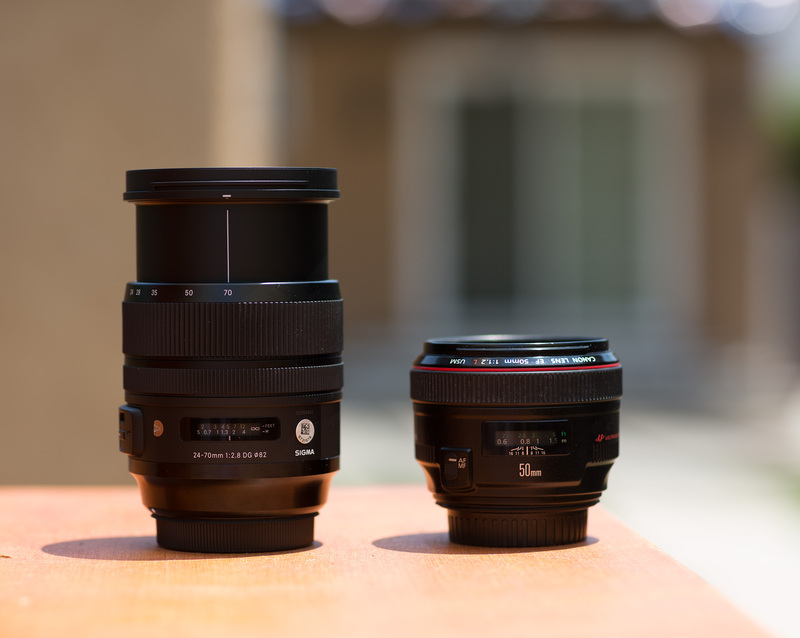 Sadly, where it matters most, is where the Sigma 24-70mm f/2.8 Art Series falls short. As Roger alluded to with is MTF charts, the Sigma just doesn’t match the sharpness in the Canon and Nikon competition. And as I mentioned earlier, as a prime lens shooter, the lack of sharpness in the details becomes really apparent with the Sigma 24-70mm f/2.8 Art Series lens. At 24mm, this lens was a real under performer for me, especially wide open. At 50mm-70mm, it was good, but nothing to write home about. For more information on the technicals, read Roger’s MTF and comparisons of the Sigma 24-70mm Art Series. However, here is where the Sigma shines once again, offering itself at a $1,300 price tag, whereas the Canon 24-70mm f/2.8L II sits at $1,750, and the Nikon 24-70mm f/2.8E at $2,400. The Sigma provides a lot for significantly less than the competition. Much to my surprise, I fell in love when using this lens. However, that love I felt was for the focal range itself and not the lens. 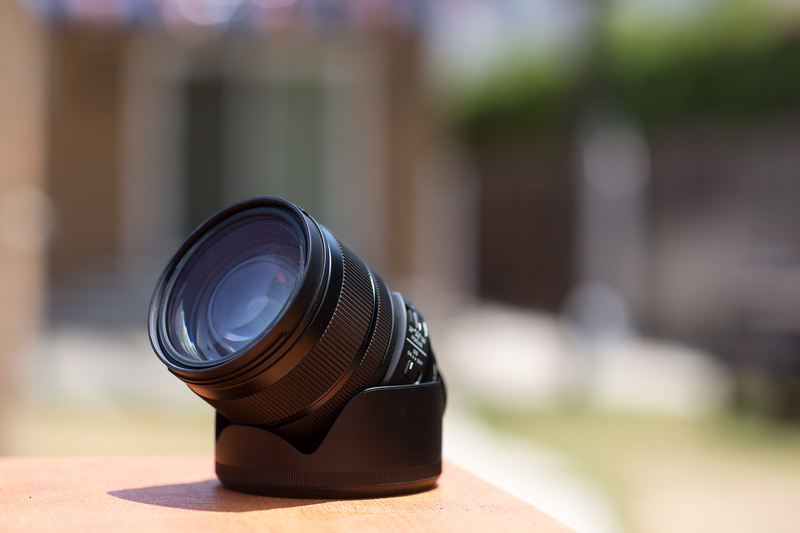 In short, 24-70mm is a fantastic focal length and makes for an exceptional all-around lens to use on the go. And by all accounts, Sigma does a good job showing off this focal length. However, Canon and Nikon both show it off better, and so when I’m looking for a 24-70mm lens to use as my next all around lens, I’m opting for the Canon 24-70mm f/2.8L II over the Sigma 24-70mm f/2.8 Art Series. That said, the Sigma 24-70mm Art Series does a lot of things great. Keeping the form factor small, while adding the functionality of stabilization is impressive in its own right, and the price point is incredible when compared to what it’s up against. No doubt, if this is the first pro-grade 24-70mm lens you’ve used, you’ll be really impressed with the quality. For those who aren’t in a rush to update their 24-70mm lens, it might be best to wait and see what Tamron has in their newly announced Tamron 24-70mm f/2.8 Di VC USD G2. Why We’re Going to Start Testing Cinema Lenses. And Why We Haven’t Before. The tests are done using careful manual focus. AF performance is not a factor for these tests. These test are done with careful manual focusing. AF performance is not a factor. 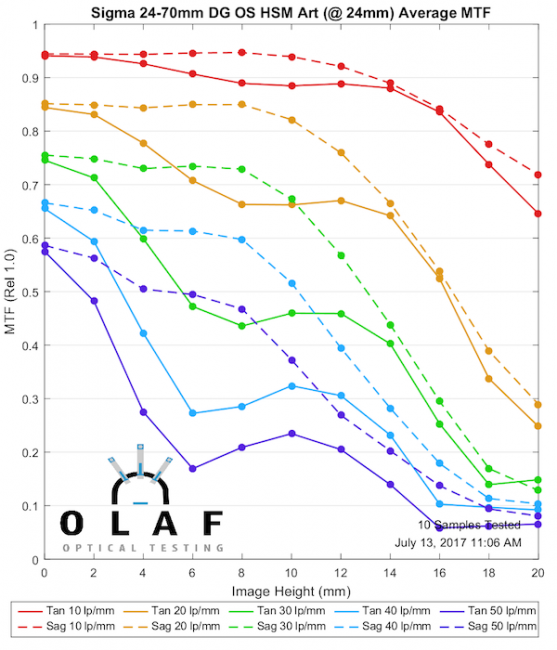 To be honest, I really was disappointed after reading this article as I really, really was hoping that the new 24-70 Sigma with OS would be that big of an improvement as all the new Art lenses from Sigm were. I bought the 50 1.4 Art lens and was totally blown away from the sharpness even wide open. 24-70 4.0 L is my next lens if nobody can convince me that Sigma or Tamron arent doin better than Canons 24-70 2.8 II, followed by prime lenses only (yes, Sigma 24/35 and the 85 if new Canon 85 1.4 will not create a miracle in matter of sharpness and bokeh). Thanks Fred. If you find something in your searches please let me know. It doesn’t seem these guys are going to do the test comparison we are hoping for. Also, some newer firmware for this Sigma lens was released shortly after the lens was released. But I think only software tweaks in the firmware update. Probably nothing can be done to improve the optics. Searching an answer on exactly that question! It was a famous Ruth moment where he seemed to point to the area he was going to hit a home run, and he did it. Maybe world series, I can’t remember. How difficult would it be for Sigma to build a truly separate Nikon version with some “mirror image” parts so that the focus and zoom match the “Nikon way” of turning? After waiting a long time for this Sigma standard zoom and the promise of the ‘art’ lenses it is doubly disappointing to see these facts and figures. Hopefully will ‘do a Tamron’ and release a G2 version to fix and improve things. 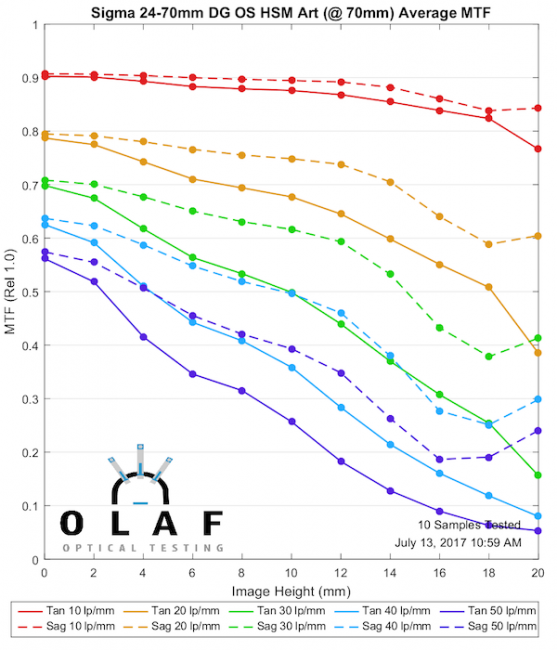 It seems to me, that the Sigma beats all but the Canon at around 50mm, especially in the center…at least according to Roger and Aaron’s Olaf comparison. 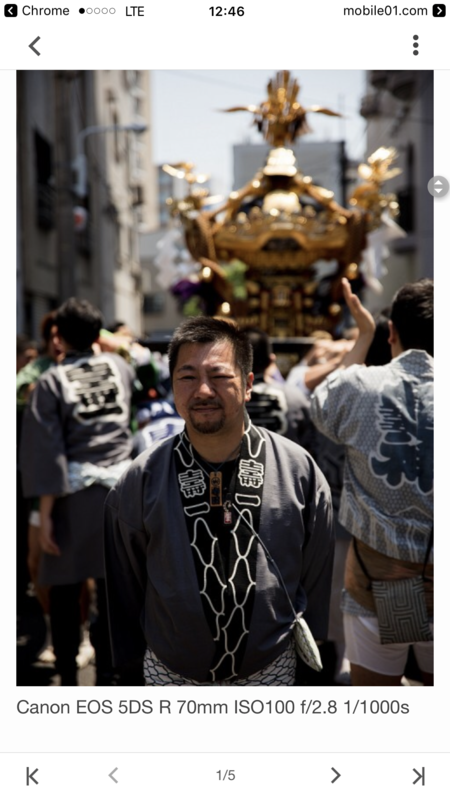 Do most users, let’s say event shooters…use such a lens at 24mm most of the time? I think not. This said, I have studied the tests of all 24-70’s, and concluded I don’t need one. I too had high hopes for this Art. (As I recently switched to Nikon, for my meager money, I may opt for an older lens like the 35-70 f/2.8 Nikkor). I also want the 24-105 Art, as it too seems sharper than all the 24-70 f/2.8’s…but I think I may want the f/2 zoom more. Zach; Could it be sample variation because your test looks different to the one as posted by http://www.lenstip.com/507.4-Lens_review-Sigma_A_24-70_mm_f_2.8_DG_OS_HSM_Image_resolution.html. 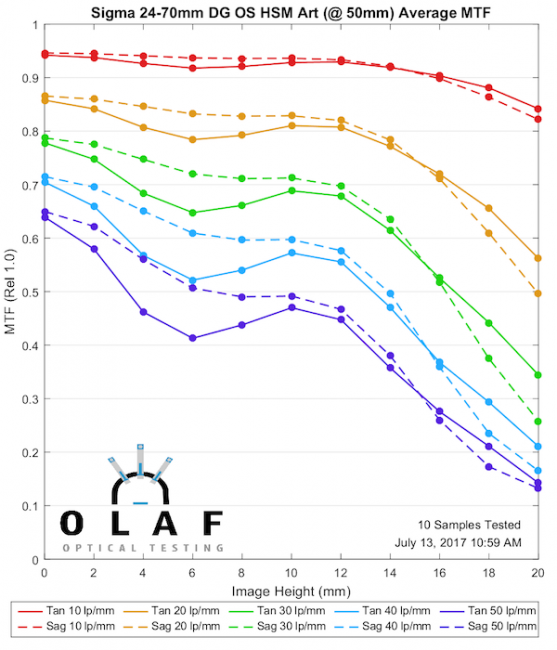 Lens Rentals turns itself into one of really trusted sources for test and reviews. This is a great example: As I see, the slight disadvantage in sharpness will mostly impact people with high resolution cameras (D810, 5Ds). Just one remark about metaphors: Sigma turns into “Babe Ruth of sorts, hitting every subsequent release out of the park, and pointing to the fences before they do so”. I have to admit to some level of ignorance : What is Babe Ruth, and what does it mean to “point to the fence” before they (release, I suppose?). This is a very enigmatic paragraph to me. Hello Zach, Can I ask if the camera was focus calibrated to the lens using Canon’s Af Micro Adjustment system in camera? This would then calibrate both ends of the zoom range and the camera would adjust the inbetween on the newer Canon bodies. Surley this would need to be done on any lens test and test comparison test between lenses to be a fair test as they would then be tuned first and give there best performance. 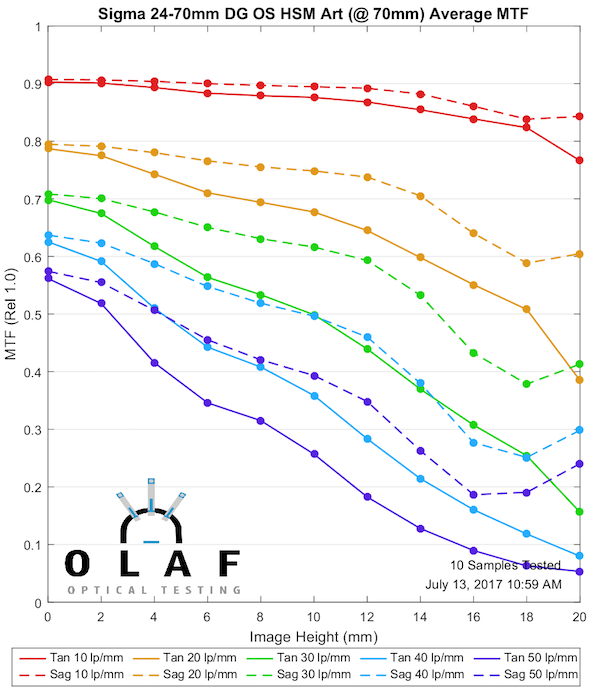 I would also say the test body should have the AF sensor “zeroed” to be in its best position before focus matching it to any lens. Too bad it’s not quite up to the challenge of canon and nikon. I’d prefer to see a less expensive competitor that is equal in performance. Sigma has done it with some of their other recent lenses, this one is disappointing to me. I agree 24-70 is a good range for general purpose when you’re on a trip. It’s just that the 2.8 is awful heavy by the end of the day. I have the Canon 24-70/4 and I can carry it all day when on vacation so I recommend you carefully consider the weight of the 2.8. The ‘4 also has a kinda goofy macro function which some people dislike, but hey, it’s there and better than nothing if you really want to carry only one lens. I’m not sure about its bokeh. Canon L II isn’t better. Did they address inconsistent AF that can develope over time?